"Complete Streets" -- Post-Petroleum Pedestrianism? The concept is "complete streets." The driver is demographics -- and the-end-of-automotive-hegemony. A growing number of states and local governments are rejecting a half-century of transportation practice and demanding that streets accommodate all types of travel, not just automobiles. The concept of "complete streets" — with bike lanes, sidewalks and room for mass transit — has attracted a diverse national alliance of supporters, including advocates for senior citizens and the disabled. Continue reading "Complete Streets" -- Post-Petroleum Pedestrianism?. Imtiaz Muqbil publishes Travel Impact Newswire. The latest issue re-applies the concept of the Experience Economy from the book by B. Joseph Pine II and James H. Gilmore, combines it with Bhutan's Gross National Happiness concept, and predicts a resurgence of interest in this approach following the International Conference on “Happiness and Public Policy” organized by the Public Policy Development Office (PPDO) of the Thai government. As with all such optimism the key question remains, "Is the model inclusive at its core? Has the policy design process been permeated by the seven principles of Universal Design?" Continue reading The Experience Economy: Travel & Happiness. The Chicago Department of Aviation says Chicago’s airports are on their way to becoming more accessible for disabled travelers. “Accessible kiosks” are coming to O’Hare International Airport as well as Midway Airport in 2008, according to a release from the CDA on Wednesday. The kiosks are wired with videophones, allowing deaf or hearing impaired travelers to communicate using sign language. Less than a quarter of the security workers in the airport have received training on conducting plane searches, and even fewer have been trained to identify fake identification documents. In the event of an emergency, only one in ten workers have been trained to handle evacuation and emergency procedures, according to the survey. Everybody needs information and every body has a right to get the information. Although people using the same way to understand the information, through senses using eyes, ears, mouth, nose and skin, the "sensitivity ability" one to others is different. how much attractive a sign or signage is able to be understood. Continue reading Yogyakarta's Accessible Tourism. On Friday I mentioned Brazil's new Viaja Mais - Melhor Idade (Travel More! - the Best Age). So far I have seen nothing official in English so here's a preview until the site gets going at www.viajamais.com.br. 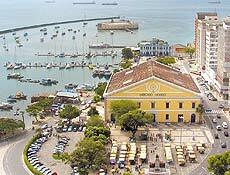 Continue reading Senior Travel in Brazil. Tem ouvido ja da programa Viaja Mais - Melhor Idade? O Projeto Viaja Mais - Melhor Idade, a ser lan?ado no próximo mês de agosto, oferecerá pacotes de viajem aéreo ou rodoviário, com produtos customizados de nível turístico superior e luxo. O pagamento pode ser efetuado através de cheque, dinheiro, cart?o de crédito e/ou débito, além de crédito consignado via Banco do Brasil e Caixa Econ?mica Federal para viagens no valor de até 3 mil reais, que podem ser parceladas em até 12 vezes com juros de 1% ao mês. Continue reading Desenho Universal & a Qualidade dos Servi?os Turísticos para a Melhor Idade (Portuguese). For the past week it has been my privilege to host several out of town visitors. Playing host is always a valuable exercise in seeing the familiarly local with new eyes. On the return from an excursion into Big Basin redwood park Brazilian tourism student Mariana Coelho and I discussed a new video that we previewed together by the Brazilian inclusive adventure and eco-tourism tourism activists at Aventura Especial. The question we chewed on most of the way home was how to measure success - how to know when "first stage" pioneering efforts in Inclusive Tourism have matured into sustainable "second stage" initiatives or passed into a ubiquitous "third stage" where inclusion is no longer a conceptual or design challenge but a commonsense assumption. The Accessible Sailing Program is a great example of user-centered design, a philosophy that boils down to multi-step problem solving. The Community Boating team adjusted the make of the boat to accommodate, not accept, each limitation of its driver. Most admirably, no part of the universal sailing experience is diminished. In a world where people are constantly struggling with clumsy design—poor user interfaces, products made for form rather than function—it’s refreshing to see that there are some folks out there with enough heart to make something that really works the way it should. Time and effort seem to be the key. 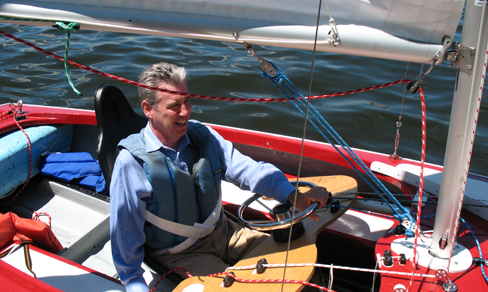 Continue reading Accessible Sailing & Good Design in Boston are Good for Tourism. 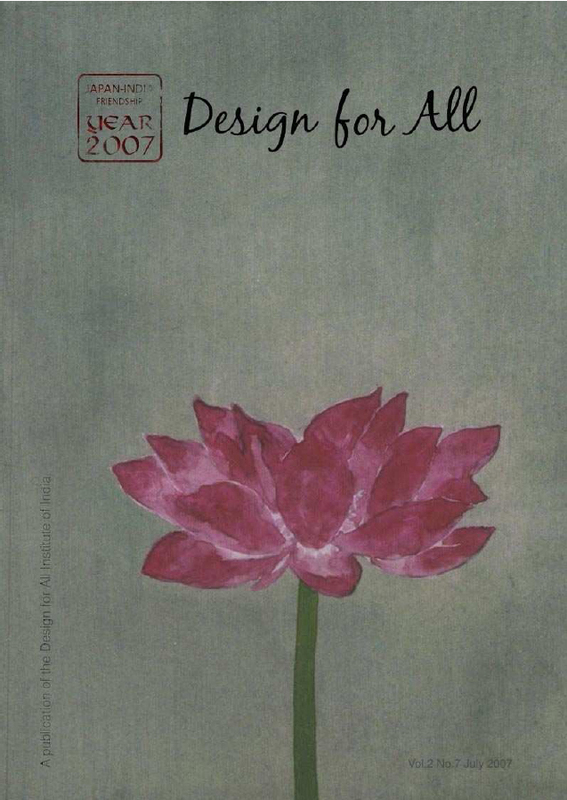 The new issue of Design for All from Dr. Sunil Bhatia's Design for All Institute of India has been released. This issue highlights Japanese UD efforts. The journal may be acquired through the contact below. Continue reading The Design for All Journal. Brussels, 26 July 2006 – “It took us more than three years to obtain this important piece of legislation and I would like to congratulate all those that have actively contributed to make it happen. The European Union has taken an important step forward to advance disability rights in Europe, but we need to continue to work together in order to overcome the current gaps of the Regulation”, said today Yannis Vardakastanis, President of the European Disability Forum. 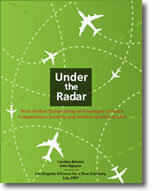 Continue reading The Launch of EU Inclusive Skies Regulations. Alors que les premières dispositions du règlement européen sur les droits des passagers aériens entrent en vigueur, le Forum européen des personnes handicapées met en garde sur les lacunes de cette législation. Bruxelles, 26 juillet 2006 – ? Il nous aura fallu plus de trois ans avant l’obtention de cette importante législation et j’aimerais féliciter tous ceux qui ont contribué activement à atteindre notre objectif. L’Union européenne a fait un grand pas pour mieux protéger les droits des personnes handicapées, mais nous devons continuer à travailler ensemble afin de surmonter les lacunes de ce règlement ?, a déclaré aujourd’hui le Président du Forum européen des personnes handicapées, Yannis Vardakastanis. Continue reading L’espace aérien : ouvert aux passagers handicapés? (French). Our prior purpose of founding this organization is to help handicapped children to socialize with the other kids and to protect the future of our children in this changing world in the frame work 23 April National Children’s Day which the great leader Ataturk has given as a gift to the kids of the whole world. Our children are our future and to protect their rights is our duty. 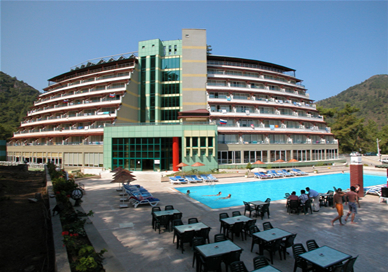 Continue reading Travel to Turkey: The Spinal Cord Paralytics Society of Turkey. Let me tell you something about my experience in Santa Clara County. My name is Mariana Coelho, I’m from Brazil and I’m a senior university student in tourism back home. Continue reading Tourism : An Endless Opportunity. Berkeley, CA July 23, 2007 --San Francisco's newest access guide, Access San Francisco is now available from the San Francisco Convention and Visitors Bureau (SFCVB). 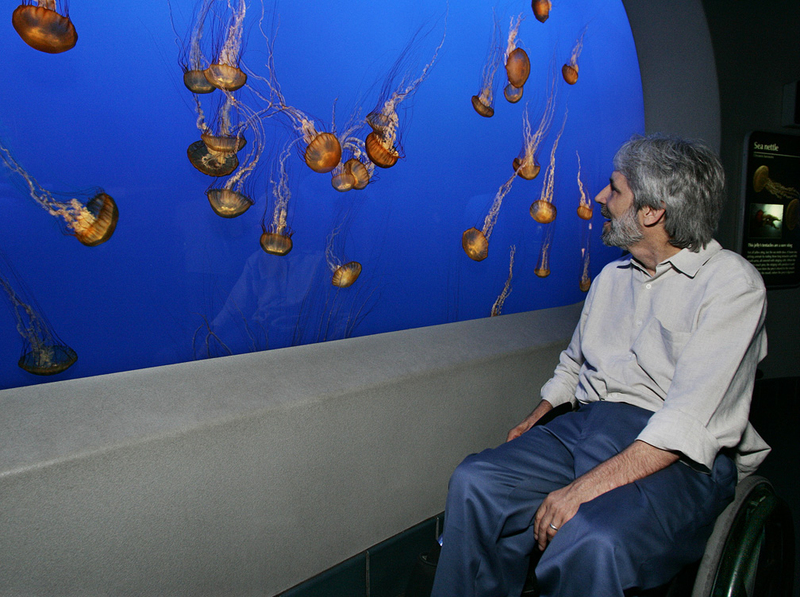 Compiled by Access Northern California (ANC), this free resource includes access details on over 100 San Francisco-area attractions, restaurants and hotels; plus information on accessible transportation, local disability organizations, wheelchair rentals and medical supply dealers. All properties in Access San Francisco were personally inspected by Access Northern California, a one-stop accessible travel information and consultation service for travelers with disabilities and the hospitality industry. Continue reading New San Francisco Access Guide Published. To locate accessible holiday resources in Santa Cruz, California try the guide by Shared Adventures, Santa Cruz County Access Guide. Each year we watch the appeal of Foster Andersen's Day on the Beach grow. This year I was pleased to host researchers from Korea and Brazil for the weeks before and after the event. Madiana Coelho, on the left, and Dr. Kim Dae Kyung, president of the Journal of Korean Sport Research and professor at Mokwon University in Korea dove into the task of assisting the 200+ people with disabilities participating. Continue reading Day on the Beach 2007. The project I have been doing for SeniorNet ended several weeks early. 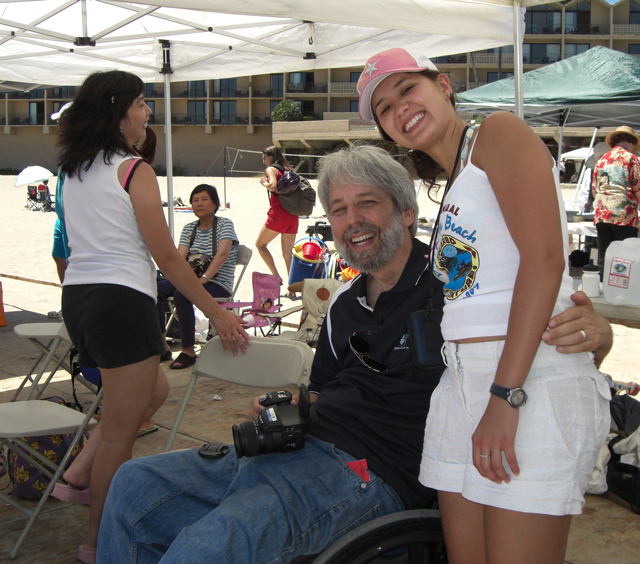 The coming week at the Rolling Rains Report will be a Bay Area travelogue with Day on the Beach today, a Korean research team in tow exploring activities for seniors, and the delightful Mariana Coelho visiting from Brazil. With luck Mariana will share her impressions here also as she collects data and approaches for her senior thesis in Tourism with the Universidade Federal de Minas Gerais..
Continue reading The Story Behind the Photo. S?o Paulo, Meu Destino 2007 promove workshops de capacita? ?o para agentes de viagens e operadores. O 3o Encontro "S?o Paulo, Meu Destino", organizado pela S?o Paulo Turismo e com o apoio do S?o Paulo Convention & Visitors Bureau, irá promover cursos de capacita? ?o para os mais de 800 profissionais de turismo do Brasil e da América Latina esperados durante os dias 10 e 12 de agosto. Continue reading O 3o Encontro "S?o Paulo, Meu Destino" (Portuguese). Um servi?o exclusivo para quem procura hospedagem no estado de S?o Paulo. Este é o diferencial do www.saopaulo.tur.br que apresenta conteúdo específico para o turista que percorre o estado a negócios ou lazer. Com informa? ?es sobre hotéis, pousadas e pontos turísticos possibilita a busca por destino - Capital, Interior, Litoral Norte e Sul -, roteiros dos circuitos paulistas, e acesso a mapas de ruas, rodovias e imagens satélites de todas as cidades paulistas. Continue reading Site de hospedagem sobre S?o Paulo (Portuguese). International educational tourism is a booming niche in the travel industry. For some students moving way from home to go off to college can be a challenging adventure. As India works to implement inclusion at the university level a new national discussion is taking place. To foreign ears it is discordantly patronizing (i.e. "these special children") but worth monitoring because policy and practice developed on campuses will eventually have on broader infrastructure and the travel & hospitality industry. A number of disability quota seats are going empty in DU? Why? This year too, Delhi University (DU) has not seen many applications for UG courses in the disability category. The officials are worried about the dwindling number of applications. And so, the colleges have now trying their bit to attract these students back to their colleges. From constructing ramps, providing special softwares to assigning them key roles in the college in an effort to integrate them to the larger student community, the colleges are making sure that these special children see the college as their 'second home'. "On an average, DU receives around 325–350 applications each year for disability category. Although the total number of seats sanctioned for disabled candidates is well over a thousand, we have received about 330 applications this year," says SK Vij, dean, student's welfare. Continue reading Off to College in India: Waiting for Students to Find Their Own Voices. The Barrier-Free Environment and Accessible Transport Group (BEAT) in Malaysia carried out a protest at the Low Cost carrier, Air Asia, Terminal at the Kuala Lumpur International Airport. There were about 50 of us who carried placards denouncing the discriminatory measures taken by our country's budget airline Air Asia for refusing to take us if we cannot walk up the steps to the plane. Continue reading AirAsia Discrimination Not Tolerated in Malaysia. There are many reasons to travel. Traveling to protect the basic civil rights that allow the opportunity for other people with disabilities to travel is what motivates the crew of the Freedom Bus of the project Road To Freedom: Keeping the Promise of the ADA. Read more about the tour. Como foi aqeula musica por Daniela Mercury, "I don't want to stay here. I want to go back to Bahia!" O mercado Modelo, em Salvador (BA), é uma espécie de máquina de baianidade. Funciona assim: você entra por uma porta turista paulista --ou mineiro, ou alem?o-- e sai pela outra porta meio baiano. é que, pelos corredores desse mercado, o visitante entra em contato com todos os clichês baianos de uma vez só. Ent?o, ao sair de lá, palavras como dendê, ians?, berimbau e tudo o mais que forma o léxico do turismo em Salvador parecem t?o familiares como pai e m?e, cachorro e casa. Todos os dias, 2.000 turistas passam por esse processo de baianiza??o. Pois e. E quantos sao cadeiristas com nos -- o novo setor brotando no turismo? Continue reading Mercado Modelo (BA) & Casa da Cultura (PE) (Portuguese). New civil rights legislation is having its positive effect in the lives of individual citizens with disabilities in many countries. The UN Convention on the Rights of People with Disabilties will continue the momentum. There is a built-in limiting factor that will increasingly hamper such efforts. To their surprise those who are most likely to be the obstacle are those who have been involved in implementing the concrete changes mandated by the legislation. Below is an article on accessibility features that have been added to Egmore railroad station in Chennai, India. In all retrofit situations such attempts at inclusion are marked out as "special" (stigamatized) if simply through the fact that they are obviously not part of the original design -- that the original design did not apply the seven principles of Universal Design. What then often happens is a mentality of "protecting" the scarce resource (in ths case a ramp) from interlopers (in this case motorcyclists. There is also a special washroom with railings and low level sinks and commodes that is open to disabled people on request. "We do not want others to use it. The sad thing is that even the ramps are being used more by motorcyclists," said an official. Who is this "we" that will not share what is good -- what is clearly better, in fact -- with citizens simply because they are not disabled? Yes, there are a limited number of ramps but the right question to ask is not "How do we protect the scarcity of proper accommodation?" but how do we eliminate the scarcity of proper accmmodation? Who is the "we" that decides that inaccessibility will remain the norm so that "special" - and therefore scarce - accommodation needs a social caste who derives its sense of wellbeing from protecting that scarcity and "thise people" who depend on it? Cartainly, regardless of their disability status, they are not persons who uderstand the core values of disability culture: inclusion and interdependence. Continue reading "Specialness" & Scarcity: The Paternalism Syndrome. organización no gubernamental y sin fines de lucro, Global Explorers. Continue reading Alpinistas Ciegos con la Global Explorers (Spanish). opened for signature on 30 March. Continue reading UN Convention Reaches Milestone in Signatures. The white diagonal-lined areas adjacent to, or between, accessible parking spaces for drivers with disabilities are there for a number of important reasons. The Mayor's Committee for People with Disabilities urges summer vacation travelers to steer clear of these "access aisles" because parking unlawfully in them can compromise safe use of accessible parking spaces. Since enactment of the 1990 Americans with Disabilities Act, accessible parking spaces must have access aisles, and two accessible parking spaces can share a common access aisle. In many cases, the access aisle is 60 inches wide minimum, not nearly enough space to squeeze in an additional vehicle. However, the Americans with Disabilities Act added a provision that one in every eight accessible spaces, but not less than one, must be served by an access aisle that is 96 inches wide minimum, so that drivers with disabilities using vans or minivans equipped with side-loading lifts or ramps would have enough space to exit/enter their vehicle safely. A blocked access aisle of any size can make it unsafe for a wheelchair user, a scooter user, or anyone with impaired mobility to transfer to and from their vehicle. The parking access aisle is also part of the disabled driver's accessible "path of travel" to the building or facility served by the parking area. have made our global list available to the public. Continue reading University Ecotourism and Sustainable Tourism Programs. Recently, I published Harry K paper on Inclusive Tourism in Indonesian. He was kind enough to share the translated version "
Organisers are looking for suggestions on further topics and speakers. I know there are backpackers with disabilities out there who will have some suggestions! Continue reading 12th Adventure and Backpacker Industry Conference. Environmental Travel Companions and More! As I bring in delegations from Korea, South America, and around the US to participate in this year's Santa Cruz California Day on the Beach I find myself contacting local travel suppliers and arranging meetups. Below is contact information on some of the notable Inclusive Travel resources in the San Francisco Bay Area for the benefit of inbound travel agents, tourism researchers, and travelers with disabilities. Enjoy! Environmental Traveling Companions (ETC) opens the beauty and challenge of outdoor adventures to people with special needs. Every year over 2,000 people of all abilities join us to raft whitewater rivers, ski across alpine meadows, sea kayak the waters of the Golden Gate and sleep beneath the open sky. Bay Area Outreach & Recreation Program (BORP) is a 501(c)3 non-profit organization working to improve the health, independence and social integration of people with physical disabilities through sports, fitness and recreation programs. BORP was founded in 1976, by people with disabilities to create access to the outdoors, to fitness, to sports and to recreation for a population that had been left out. In the 1970's, there simply were no recreation programs in the state specifically for people with disabilities. Continue reading Environmental Travel Companions and More!. Parabems a Verena Fornetti, Mauricio Paroni, Rafael Targino, e os outros autores responsaveis por a reportagem na Folha de San Paulo dia 5 de julho 2007! Continue reading Reportagem de Qualidade e Extens?o Historico na Folha de Sao Paulo (Portuguese). "Se n?o tem banheiro adaptado, a pessoa pode fazer pára-quedismo, mas n?o vai ao banheiro"
Continue reading Inclusao no Turismo (Portuguese). Havia una revolucion en Ecuador. Brotó en la ciudade de Ba?os. 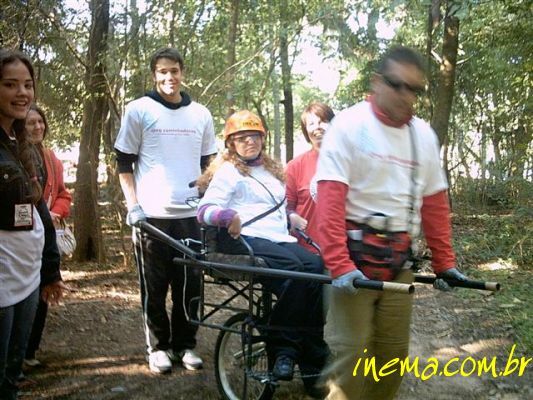 Segue la fórmula que notamos en la presentacion al primero International Accessible Tourism Conference en mayo de 2005, "El Alcance Global del Turismo para Todos" (inglés ; http://www.suite101.com/article.cfm/travel_with_disabilities/115976 y se aproxima la filosofia que apresentamos en "La Declaracion de Rio: Diseno Universal para un Desarrollo Inclusive y Sostenible"
Continue reading Ecuador: Turismo para Todos (Spanish). Continue reading Wikipedia: Sustainability, Sustainable Tourism & Ecotourism. I am very happy to share with you a guide developed by Sakshi Trust and ActionAid India on the use of RTI to get information related to the issues faced by persons with disabilities. Continue reading India's Right to Information Campaign for PwD. 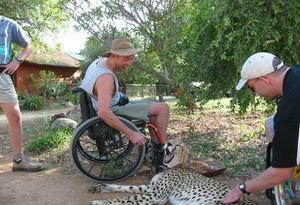 Kudos to the Bird Watcher’s’ Digest for including a state-by-state list of places a wheelchair user can utilize in the U.S.
Continue reading Just Flew in with the Latest Edition of Global Access Travel E-zine. De uma olhada nos eventos do ONG Caminhadores e veja os fotos do evento "Ecoturismo Acessível Para Todos aqui. Continue reading Caminhadores: Ecoturismo Acessível Para Todos (Portuguese). this month to give disabled people new rights when travelling by air in Europe. embark a disabled person who has a valid ticket and reservation. Continue reading UK: Aviation Becomes Accessible to All. Access Centres Turkey is filling a niche in that country that has long gone unmet. With Europeans retiring to Turkey the government and local investors have been looking for technical advice on Universal Design for several years. Let's hope that Inclusive Destination development takes hold in Turkey. Continue reading Access Centres Turkey. This year’s Mobility Roadshow that takes place on 19, 20 and 21 July at Kemble Airfield near CirencesteK, UK. So, if you are not in the neighborhood for the 13th annual Day on the Beach in Santa Cruz, California then the Mobility Roadshow is the only other place to be that weekend! Over 30 accessible hotel, cruise, travel and holiday operators from around the world are attending the show. Prestigious names include InterContinental Hotels, which is launching a new ceiling track hoist facility, Royal Caribbean Cruises, P&O Cruises and Virgin Holidays join operators from Egypt, Cyprus, Holland, Majorca, Slovenia, Spain, South Africa, Turkey and of course the United Kingdom. The annual Mobility Roadshow is the world’s largest event of its kind. As well as adapted vehicles to test drive, from around 200 exhibitors there will be scooters, trikes and wheelchairs, mobility aids for indoor and outdoor living and recreation, plus a large number of information and charity organisations offering information and impartial advice. This year also sees a new Sports Arena and Flying Zone with opportunities to take part. Continue reading The UK's Mobility Roadshow -- July 19, 20, & 21. Adventure travel combines with a festival atmosphere of music, food, and friends each year at the Santa Cruz "Day on the Beach" organized by Foster Anderson and Shared Adventures. Attendees come from farther away each year. This year attendees will include a Tourism student from the Universidade Federal de Minas Gerais in Brazil and a team of researchers from the Korean Sports, Health & Welfare Foundation. Stop by Cowell Beach on Saturday July 21 if you are near Santa Cruz, California. Continue reading 15th Annual Day on the Beach. News media have picked up on a complaint with the U.S. Department of Transportation last week filed by two SEIU members. Service workers at Los Angeles International Airport filed a federal complaint on Thursday, saying they had not received adequate training for assisting travelers with disabilities. The two workers said in the complaint that their employer, Aero Port Services, had not offered real training in how to operate a wheelchair since 2003. Because of that, they said, workers dropped three passengers with disabilities in the span of a year. Continue reading Due Diligence on the Part of Airport Assistants for People with Disabilities. * 32.5 million have a severe disability (12% of whole population). Continue reading US Census Reports Releases Statistics on Disability. I have always had good experience with the Country Inn & Suites by Calson in Naperville, Illinois either as a guest or when referring guests. I was pleased to learn today that they are taking a leadership position - and receiving credit for it. Kudos for Carlsons' foray into Universal Design thinking and their work to accommodate people of short stature! Country Inns and Suites in Naperville is one of 950 Carlson Hotels where Sandra Wolf is the manager. "Carlson Hotels believes in diversity and inclusiveness, and through that, they take it beyond the realms of ethnicity and they always try to accommodate all kinds of guests," Wolf said. She says the idea of providing accommodations to people of short stature came from Matt Roloff, the star of TLC's reality show "Little People, Big World". Continue reading Good Work Carlson Hotels!. Universal Design began as a design philosophy applied to the arrangement of space -- architecture, stage design, landscape design. It grew in parallel with a liberation philosophy of its era. That philosophy was radically interested in equity. Continue reading Integrating Universal Design Principles in Asset Building Program. Continue reading Monitoring the Skys: Flight Rights @ Disability Now.